How Far is Ajmera Zeon? Italian marble flooring in all the rooms. Having established itself over 46 beautiful years, Ajmera Group is recognized as one of India's leading Real Estate Company. The reach and interest of the Ajmera Group has only grown with time and has extended to other realms, such as steel, cement and social welfare. The company now has a strong presence in and around Mumbai, Pune, Ahmedabad, Surat, Rajkot and Bangalore as well as an international project in Bahrain. Quality, innovative construction technology, comfort, aesthetic appeal and maximum value for your money are few attributes that enrich Ajmera with the belief that people have entrusted in them. From a humble beginning in the early 1960′s with activates limited to in and around the periphery of Mumbai city, the Ajmera Group with sincere and dedicated efforts, along with the spirit of enthralled entrepreneurship has evolved into a leading conglomerate.. The steadily growing real estate business and the trust that its customers have form the backbone of success of the Ajmera Group. 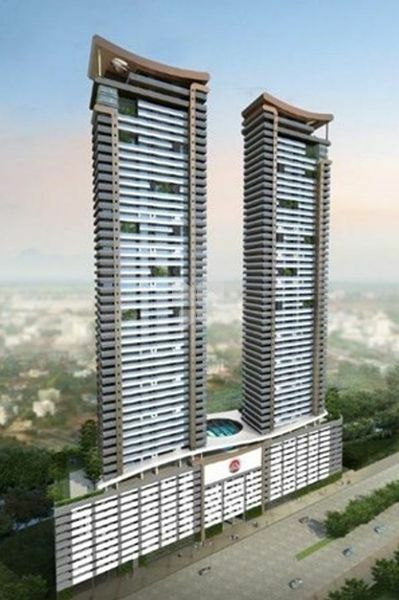 The Group promises to create landmarks, in the field of Real Estate for several decades to come. It is the dream and ambition of the Ajmera Group, to play a vital role towards globalization with its team of experienced team of architects, engineers, technical and non-technical staff. "To be the most preferred and trusted name that enhances the quality of life through sustainable development" At Ajmera Builders boundaries fade away. We give shape to your dream homes by creating innovative and world-class complexes for every strata of society. Our mission is to preserve afford ability with a world-class outcome which sets firmly on our motto "Less for More". Beyond everything lies our values, trust, and purity of truth that defines the Ajmera Builders more fully. We at Ajmera offer vast spaces with a variety of unending facilities which bringes different communities and families in "one world".